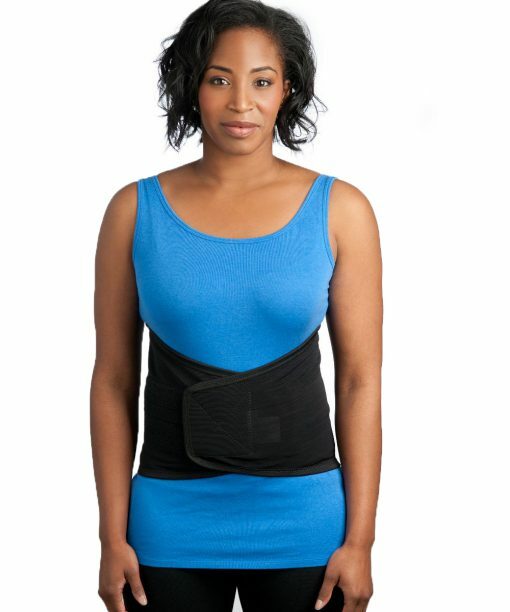 Reusable ice/heat therapy wrap for back pain PLUS compression and support you can wear anywhere. The ultimate healing solution from injury, pain, muscle soreness, and surgery. 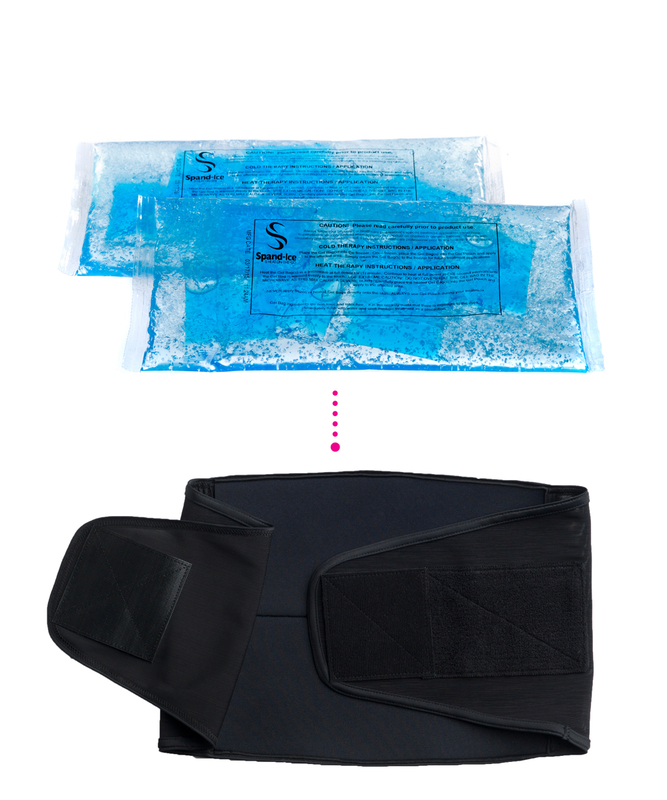 Wearable ice and heat therapy for low and mid pain by Spand-Ice. Designed to reduce pain, inflammation, and muscle soreness as you move around. 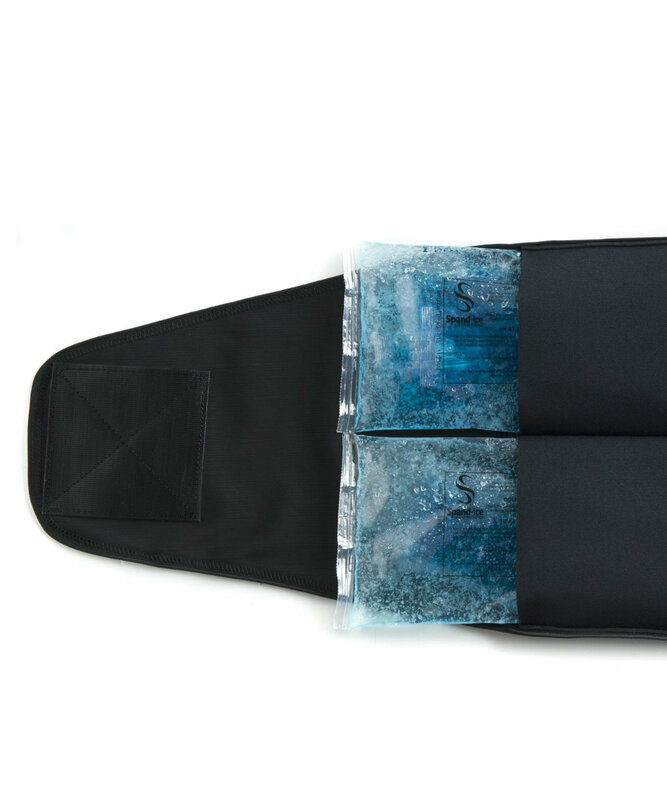 Ice / heat therapy is now easy to do with the Spand-Ice Recovery Wrap. 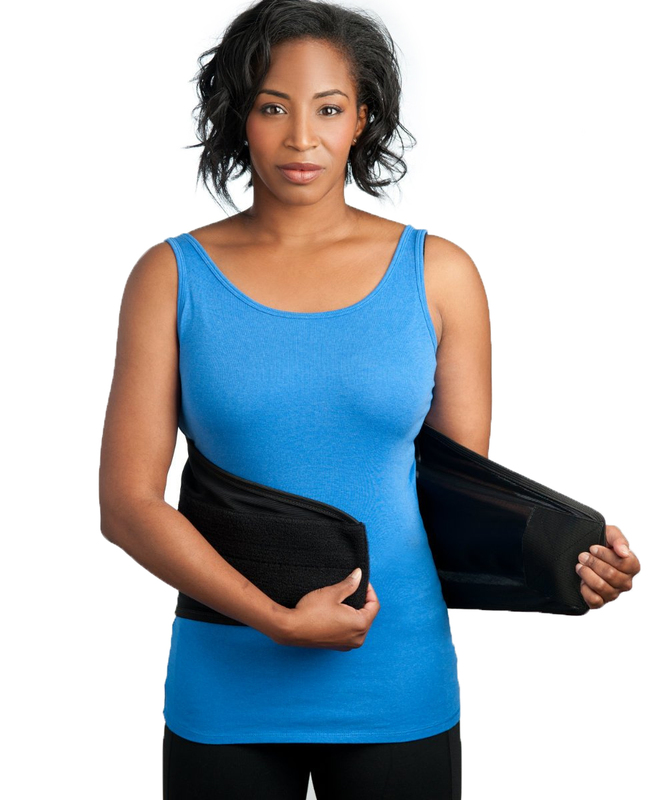 Use the Recovery Wrap whenever you need ice or heat therapy and compression: Driving, Sitting, Walking around. USE CASES: Low back pain, mid back pain, hip pain, thigh pain, gluteal pain, stomach pain, period cramps, hernia, abdominal support and more. The Recovery wrap is an optimal way to recover from surgery, sports injury and even to help prolong fatigue during performance and exercise. 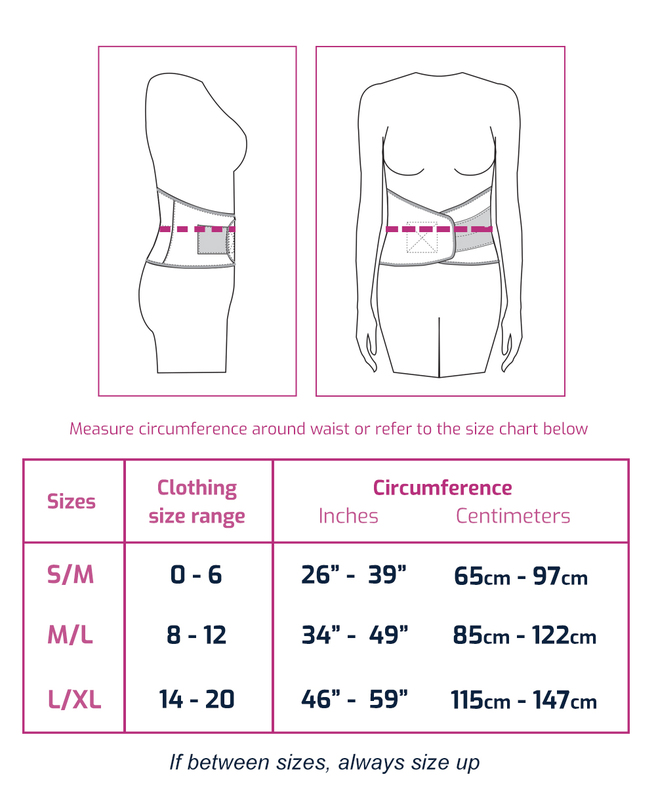 SIZING: S/M fits women sizes 0 – 6 (Men 28 – 34). L/XL fits women sizes 8 – 18 (Men 36 – 46). Size up if in between sizes. 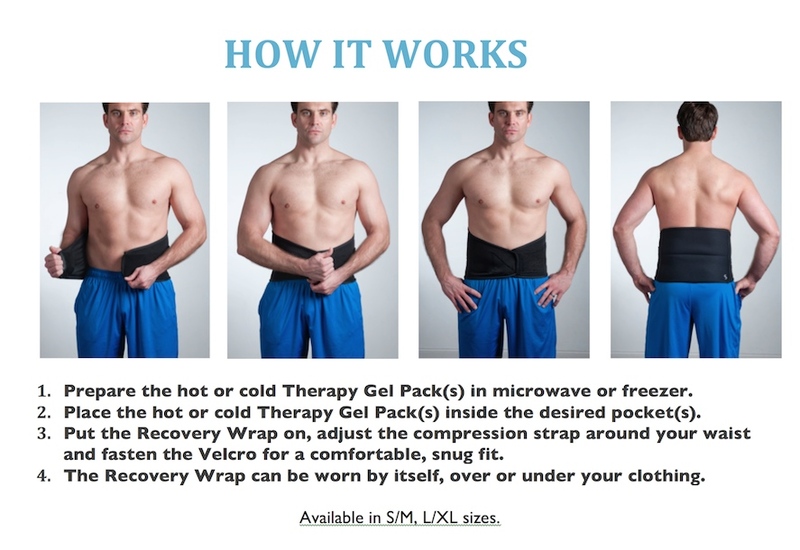 I injured my back training, & have been looking for an ice wrap to help with the recovery, nothing i found else where was what i was after, until i saw this! it covers my entire lower & mid back, and it’s cold, but doesn’t sting, thanks to the protective layer between the skin and the ice, if you take it off, your back is cold! It’s numb, it works well! It’s exactly what i was after to help in my recovery, i recommend it, it works well for me, and it’s well made, very comfortable too, it’s a bit far for me to purchase with the currency rate being different, but worth the extra dollars i had to pay! you won’t go wrong, it does what it says, I’m very happy with it, and Helen is very easy and friendly to talk to if you have any questions. I tore a posterior tibial tendon in my ankle cycling a couple years ago and needed ice and bracing to help it heal. I tried a variety of options and nothing worked to relieve the pain and allow me to go about my daily life with limited disruption like the sustained icing ability The Recovery Wrap provided! I know it was not designed for the lower leg injury I sustained, but it absolutely worked wonders for me. I’ve told countless people about your company and will continue to do so. As a physical therapist I really find the wrap very useful. If saves the patient so much time since you don’t have to “lay around” while wearing it. Huge time-saver. Using the heat with the wrap, it can be helpful to get a patient warmed up while they complete their therapy. I recommend it all the time and have my own personal one for when I need it. The wrap was a real help for me when I hurt my back. I like that I could wear it over or under my clothes and it would say put! That is always the challenge when using a heat or ice pack, you can’t keep it just where you want it to be. It was great to be able to move around freely while wearing it too. Even told my doctor about it. The recovery wrap is awesome. Finally I’m not confined to sitting in a chair while icing my lower back. Definitely makes a difference with my chronic lower back pain. Thanks for a great product and super fast delivery. I ordered on a Monday and received it the next day! 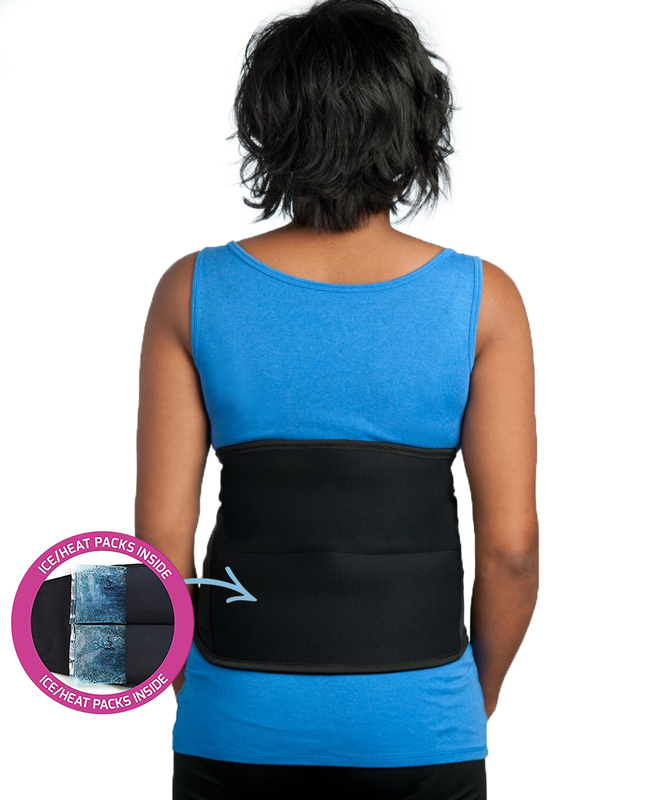 I bought this wrap for a friend who was experiencing severe, chronic back pain. Now he uses the wrap almost daily to help manage his pain. The packs last longer than normal ice packs, allowing him more time to live a more normal life. I’ve had back problems my entire life and had surgery to repair a disc problem a few years ago. Often times, after I workout or if I sleep in an awkward position, I experience general back soreness and inflammation. My physical therapist recommended icing my lower back as a treatment. Problem is, it is very difficult to hold a leaky bag of ice in place on my lower back for an extended period of time. I’m thrilled that I found the Recovery Wrap from Spand-Ice to solve this problem. The Recovery Wrap is perfect. 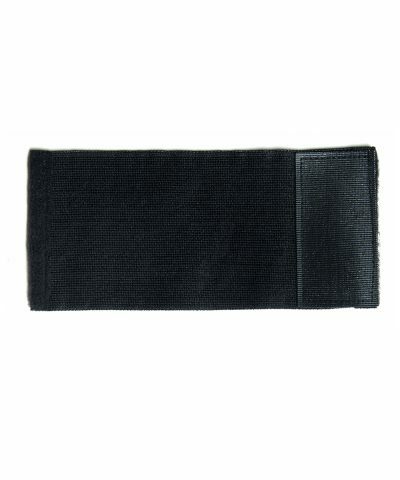 It is made of high quality material and fits comfortably around my waist. The best part about the Recovery Wrap is how long it remains effectively cold. It literally lasts for hours. 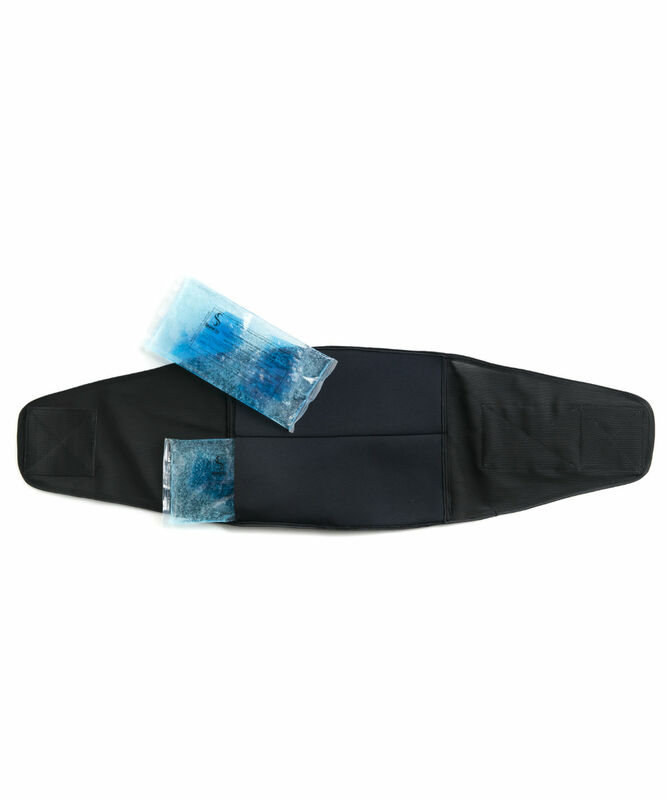 I also like the fact that the cold packs are designed to slip into pockets sewn into the Recovery Wrap. This means that there is a thin layer of fabric between your skin and the actual cold pack which makes it much more tolerable. Overall, this product is top notch and I highly recommend it to others. This is a really excellent product. I used the recovery wrap to ice a sore back while I continued with my very physical and labor-intensive workday. My back healed up quickly AND I didn’t have to miss any work. Very impressed! I AM NOT a small guy, & Helen B made sure to send extra straps in my order so it would & DOES fit. FYI I ordered in the wee hours of Mon Morning & I received it just 2 days later on Wed. morning. 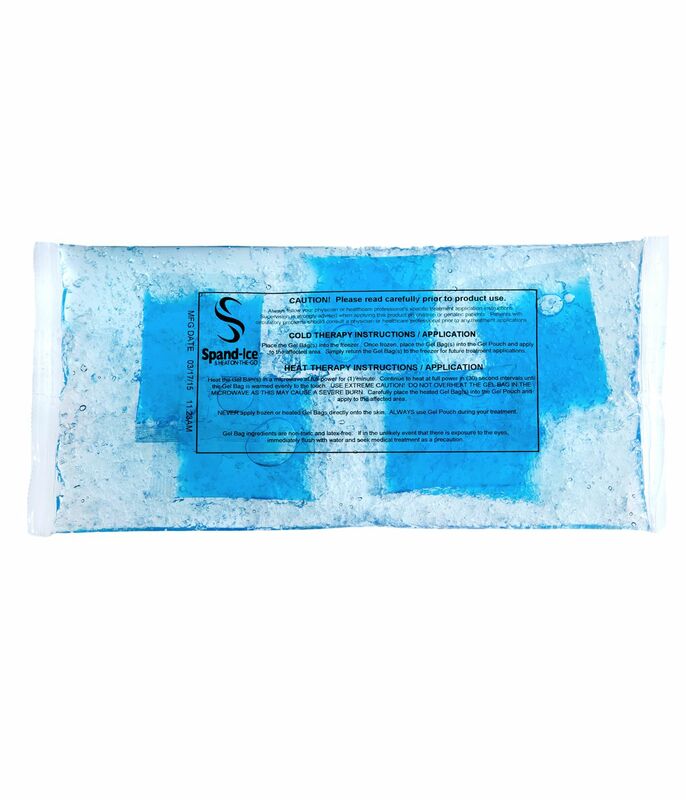 I use the Ice packs for therapy 3-4 times a week, love the product & the fast personal customer service. You won’t be talking to a computer for 10 min trying to get your questions answered. Absolutely love this. I use it for chronic bain pain and it works perfect. The ability to use heat and cold is excellent. I use it mowing and now driving long trips are very very easy and comfortable. 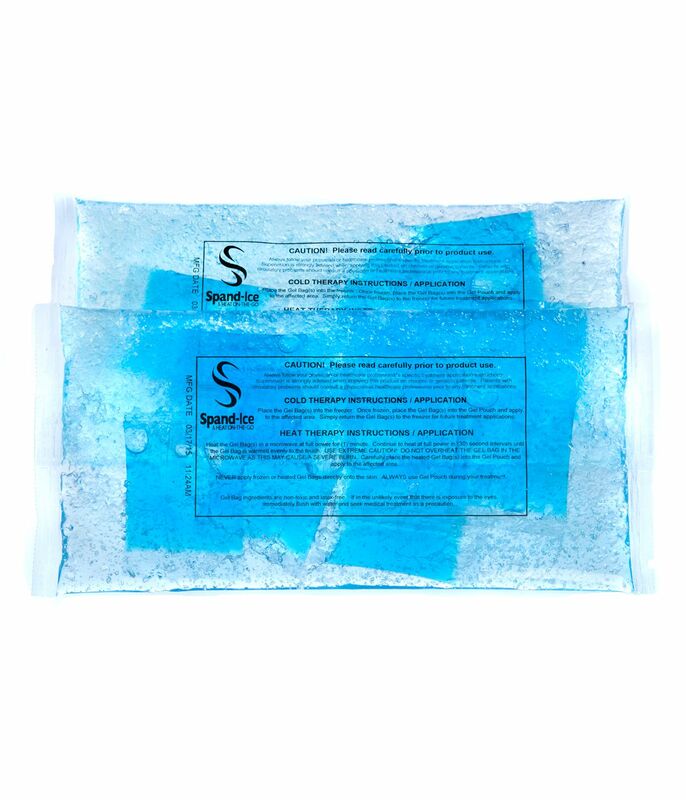 The heat/cold packs last long time I ordered a 2nd set I keep in freezer and use other set for heat. You will not be disappointed. I had a terrible low back spasm which i had never had before. I could barely walk or move. I went to the chiropractor which helped immediately. He advised icing my back. Someone suggested zip lock bags with ice cubes. Although i had an ice wrap from the drug store in the freezer somewhere i was in too much pain and so restricted in movement i could not dig around to look for my ice pack. So i tried the zip lick bag method. Well it melted and leaked all over my clothes and my couch witout my realuzing it. The second time I flipped the first zip lock bag filled with ice over and put into a second zip lock bag. The same thing happened again. The next morning I visited the Spand-ice designer for another purpose and i bought the Spand-ice wrap. It was a life saver. I was able to use the wrap for one more day of icing my back with no leaking priblem. The following day I was anle to return to baby sitting and lift the 17 pound baby while wearing my Spand-ice – this time using heat. 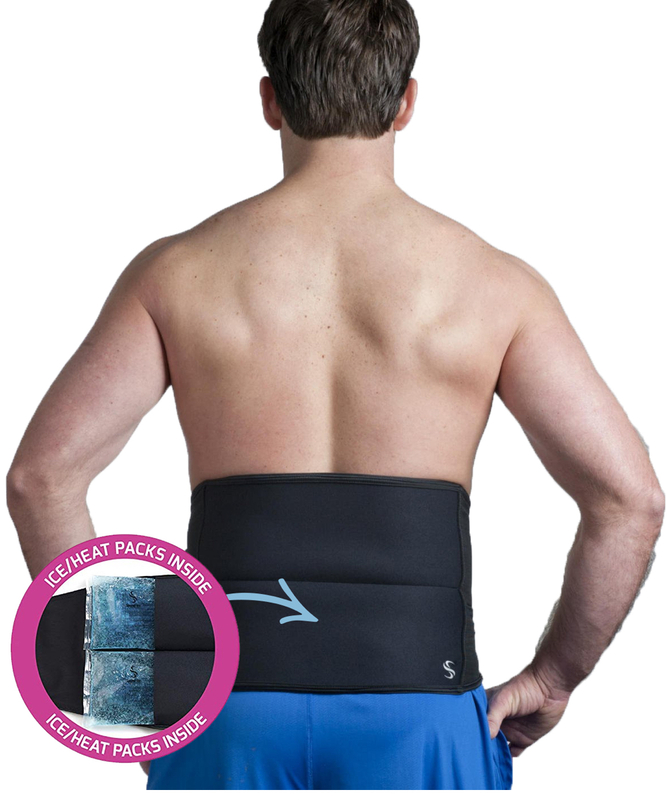 Its a great product that allows you to use cold or heat therapy as needed while being able to continue your activities instead of being stuck lying down the whole time. The cold or heat lasts longer than other methods such as drug store ice wraps or moist heat therapy wraps that you have to lie on and constantly get up to reheat in the microwave which is very difficult to do when you are in pain. The wrap is very comfortable to wear.